Help build a list of student bloggers. 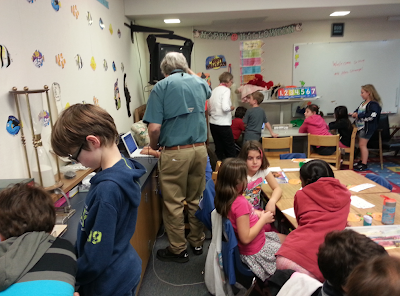 Thanks, Mr. Theriault, for setting this up! It will be a great resource for teachers and their student bloggers! Click here to enter your student blogging information. Click here to see the list of student bloggers. Reminder: This is the final week of Family Blogging Month! for our own loaf of pumpkin bread! We enjoyed a manifold of activities this week! 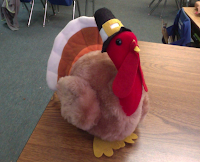 Students wrote about their Thanksgiving feast in a cornucopia, dressed a turkey book report, baked delicious pumpkin bread, and decorated the pumpkin bread to look like a turkey. We also read a funny fable about a slow-thinking turkey named Thomas T. Turkey. Here is a funny example. Can you spot the word play? We would love to have you for Thanksgiving dinner this year! Come early, the chef has promised a special recipe just for you! You'll be stuffed at our house! Just wait until you see what we're having! Bring your family along too! You will be the guest of honor, and we'll have a special place for you at the dinner table. Thomas, Thanksgiving will not be the same without you! Make up an invitation for Thomas T. Turkey. Use word play! 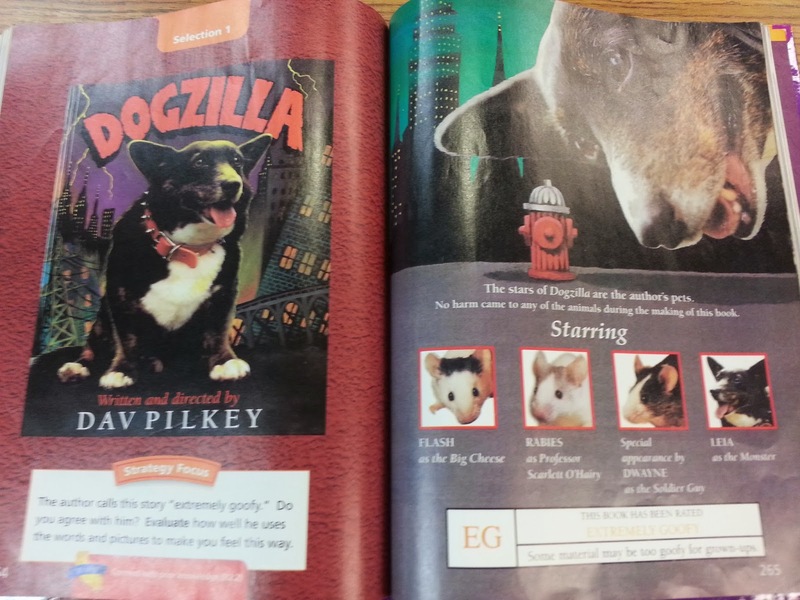 Our new language arts unit is called Incredible Stories. Dogzilla, by Dav Pilkey, is the first incredible story in the unit. In this fantasy, a monstrous mutt emerges from an ancient volcano after the irresistible scent of barbecue from the Mousopolis Annual Cook-Off drifts his way. Like the movie character, Godzilla, Dogzilla terrorizes the town. The citizens of Mousopolis drive the colossal canine out the city is a humorous way...giving the dastardly dog a bubble bath! The Big Cheese tried to catch up to the hot dog with all the relish he could muster. Dav Pilkey is a real wordsmith! In class, we have been making up and telling incredible stories. You're invited to leave an incredible story of your own in our comment section! "What are you, man or mouse?" asked the Big Cheese. The Big Cheese asked, "What are you, man or mouse?" Three sentence stories are acceptable! We look forward to reading your incredible story! 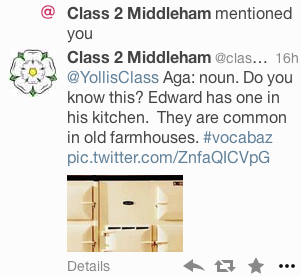 Twitter offers many educational opportunities! Two weeks ago, we started a collaborative project via Twitter with our English blogging buddies in Mrs. Monaghan's class. Each school day, students will work with a new letter of the alphabet. 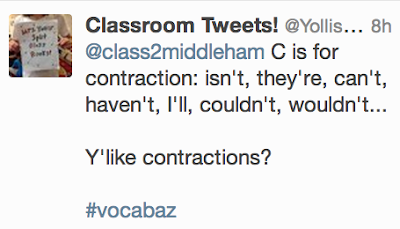 Pupils will brainstorm words that begin with the letter-of-the-day and a final word-of-the-day will be tweeted out. 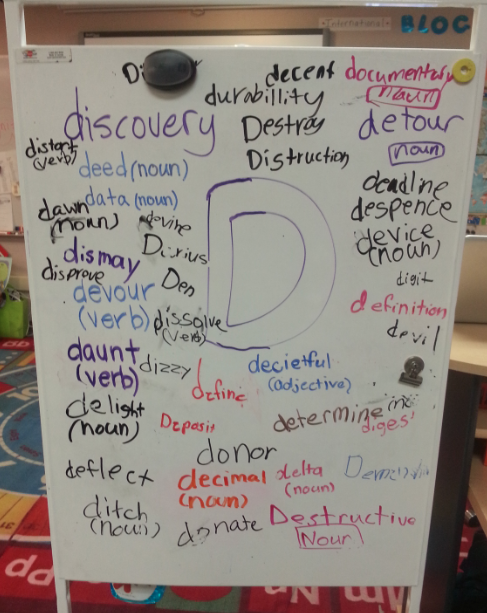 Words come from independent reading, curricular content, or our good friend, the dictionary! 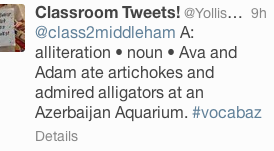 Dictionary skills are strengthened via these Twitter tasks! We responded with our first tweet! 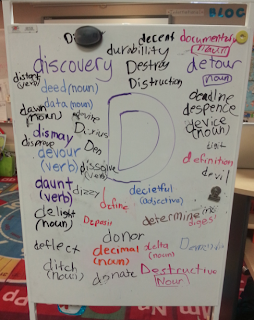 We've been using the hashtag #vocabaz to keep track of our words! 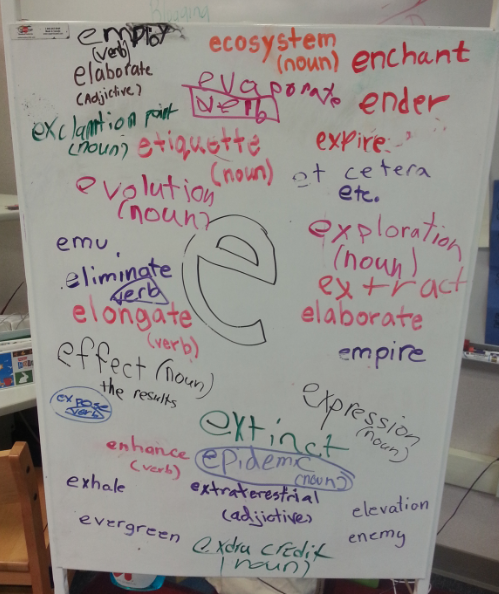 What are some valuable vocabulary words you like? 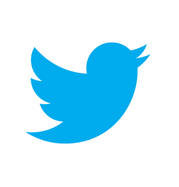 What other projects could be done using Twitter? Armed Forces. 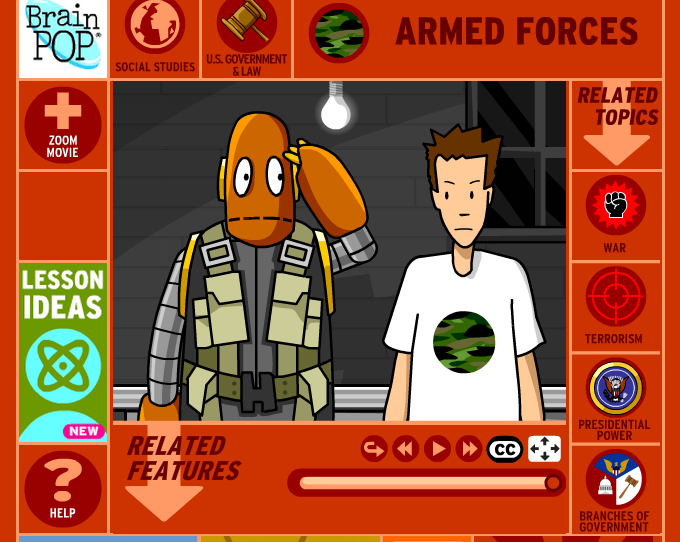 What did you learn about America's Armed Forces? In class, we are sending holiday cards to active military personnel. Chance and Nate are in a Cub Scout Troop, and they provided the cards for the "Holiday Cards for the Troops" project. Video: Mrs. Yollis Talks About Commenting! I am passion about educational blogging. In my 27 years of teaching, I have never seen anything have such a positive impact on learning as educational blogging. Not only does blogging improve reading and writing skills, it is also a great place to help children build a positive digital footprint and learn how to contribute to an online community. Below is a video I recorded with my friends, Ms. Holly Clark and Ms. Tanya Avrith. They use Google HangOuts to record teachers sharing innovated practices from their classrooms. Their show is called EduSlam, and I highly recommend checking it out. These two ladies have a plethora of professional development waiting just for you! 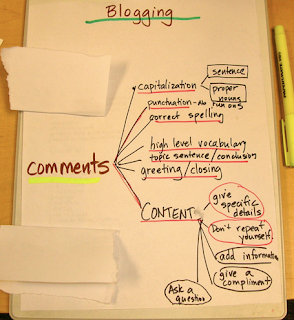 I spoke about the power of blogging and the steps I use to teach commenting skills. The comment section is where our blog comes to life. 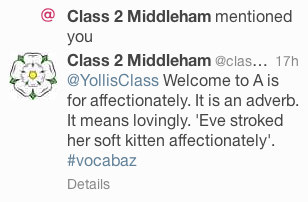 It is truly an online learning community! Here is a video with some students talking about what they love about blogging. 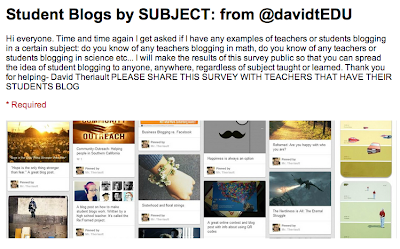 Perhaps they can persuade you to blog with your students! Here is a link to my Educational Blogging Wiki. What are some blogging benefits you see? Dr. and Mrs. Strange Visit! 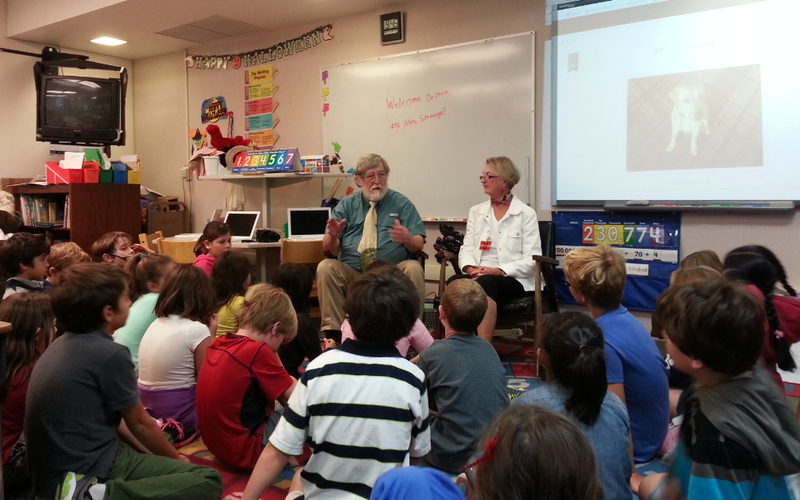 Last week, we enjoyed hosting some special classroom visitors. Dr. Strange and his wife, from Mobile, Alabama, were in our neck of the woods, and the two stopped by to say hello and spend some time learning with us. Dr. Strange and Mrs. Yollis had never met face-to-face, but know each other through blogging. Mrs. Yollis "met" Dr. Strange through educational blogging. 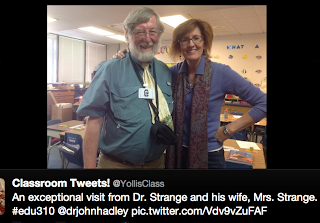 He teaches at the College of Education at the University of South Alabama. His preservice class, called EDU310, helps teach new educators how to integrate technology meaningfully in the classroom. As an educator of educators and a lifelong learner himself, Dr. 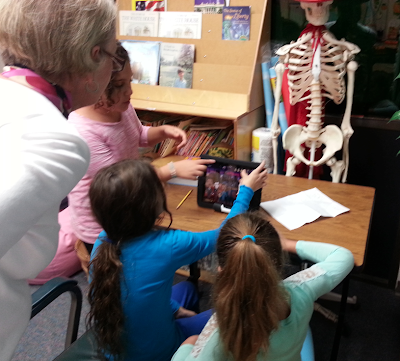 Strange was interested in seeing how young students are using blogging and ipads to enhance learning. 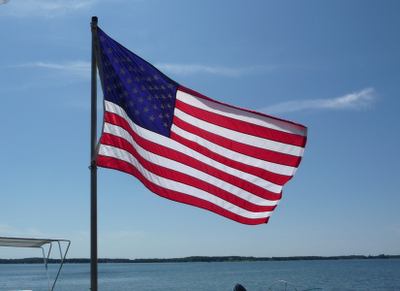 First, we learn a little about the Alabamans. Students asked open-ended questions and our visitors responded. An open-ended question is a question that cannot be answered with a yes or a no response. Open-ended questions require more thinking and are generally more interesting. After the introductions, the students broke up into groups. 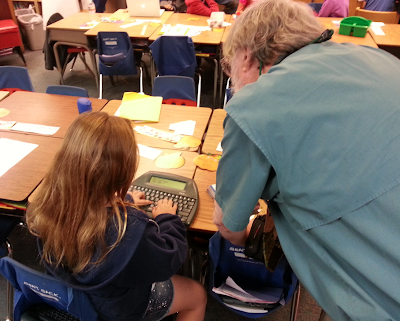 Some students worked on typing skills for five to ten minutes. Here we see a student giving a demonstration about how the AlphaSmart typing program works. Look how her fingers are exactly on the home row! Go girl! Several groups of students were working on a project using PuppetPals Directors Cut. 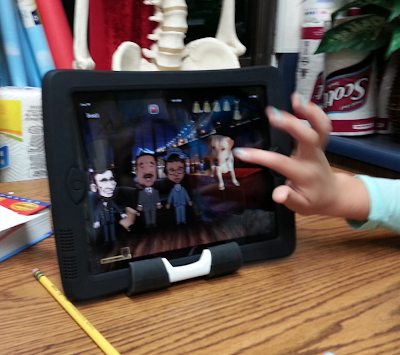 Although this version isn't free, the class enjoys the historic puppets and sets that come with the version. Mrs. Yollis' Labrador retriever, Buck, is a popular PuppetPal puppet. Here students show Dr. Strange how they can use the iPad to copy the photo of Buck from our 365 Blog, import the photo into PuppetPals, and then trace around Buck to make him a talk show host puppet! Here you can see that Buck will be interviewing Rosa Parks, Martin Luther King, and President Lincoln. I wonder what the topic of the show will be? The PuppetPal video will be published soon! Here are Two PuppetPal videos created last year! Students who weren't creating a PuppetPal project were blogging. Some great conversations are happening in the comment sections. Here are some links to view some fabulous conversations in the comment sections! If the comments aren't visible, try a different browser or try again later. Alas, it was time for Dr. Strange and Mrs. Strange to leave. We hope we meet again in person or in our blogging online community! What did you enjoy about the visit? What would you like Dr. 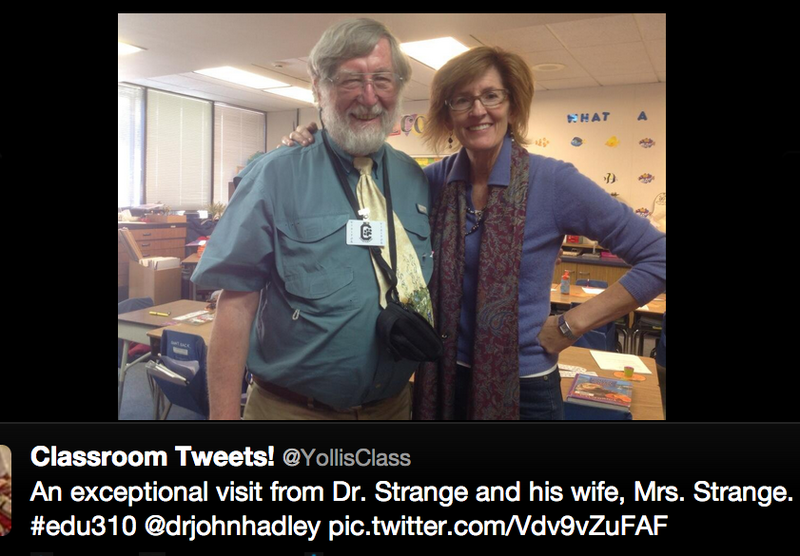 Strange's teacher to know about blogging? 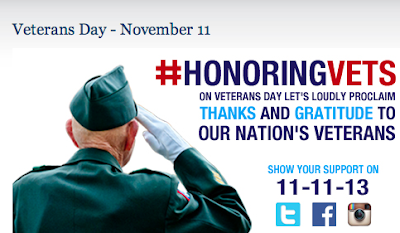 Remember: November is Family Blogging Month! 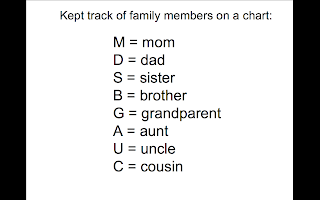 This is the perfect post for family comments! In the comment section, tell about your plans for Thanksgiving. 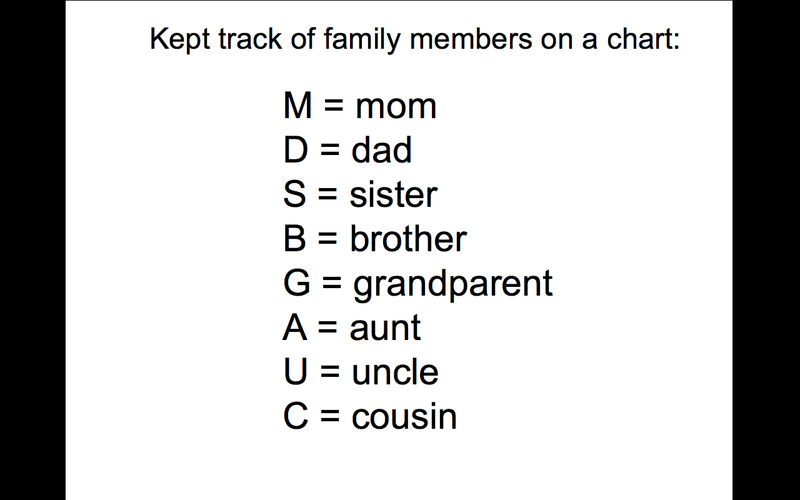 Be sure to include at least two COMPOUND SENTENCES. 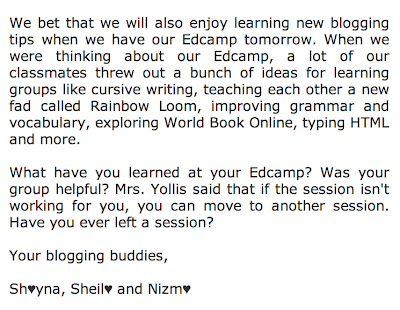 Last weekend, Mrs. Yollis attended EdCamp Online. 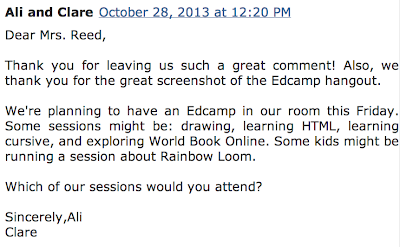 It was the second EdCamp she had attended. 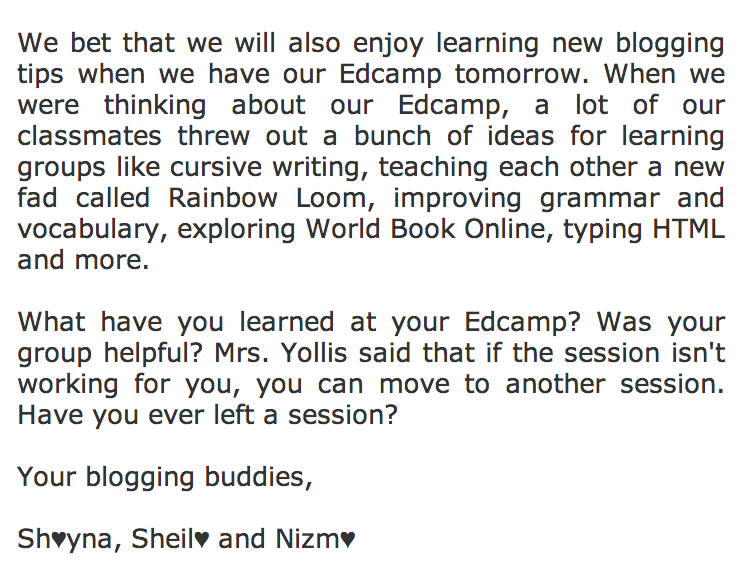 She enjoyed the EdCamp idea so much, she decided to bring it to her third graders. There were several sessions offered. Throughout the day, students put tally marks next to sessions they'd be interested in attending in the afternoon. Like in other EdCamps, students were told that if a session wasn't meeting their needs or wasn't what they expected, they were free to move to a more appropriate session. When our EdCamp open up after lunch, everyone made a choice. It was very exciting! 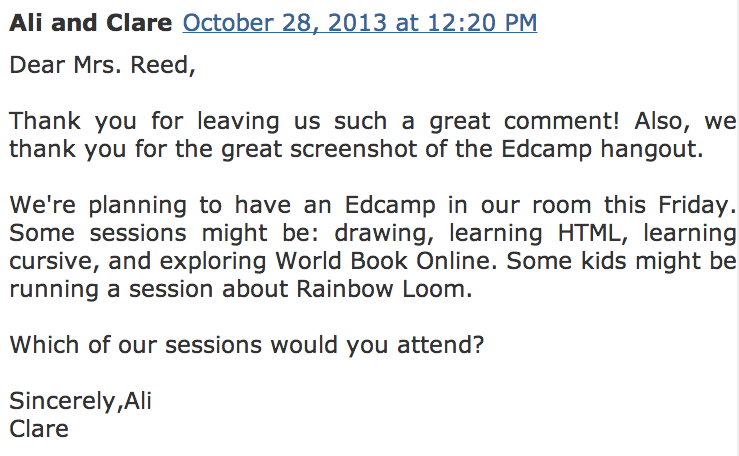 Several EdCampers were drawn to the drawing session! 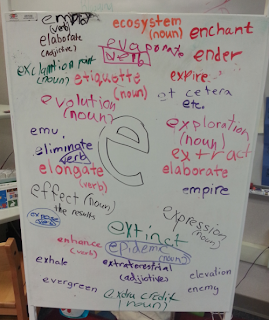 One group explored our new World Book Online Encyclopedia! Cursive lessons were a real crowd pleaser. Mrs. Yollis' animated cursive site was useful! A couple of students explored shortcuts on the computer! 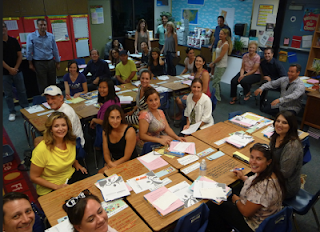 We ended our EdCamp with the tradition slam. 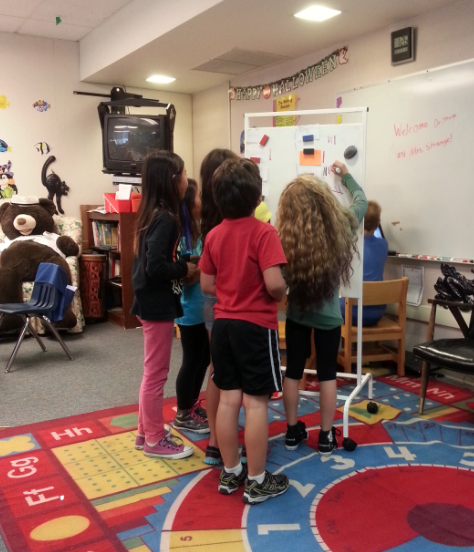 Student stood up and shared something they learned from the session they attended. 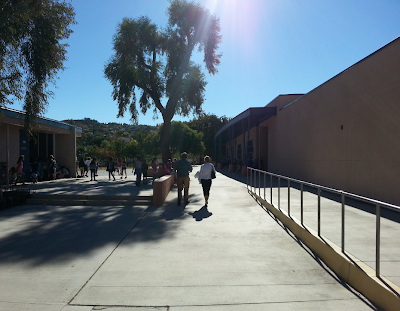 The EdCamp was a great personal learning event! The class decided that we would hold them every Friday! What do you think of the EdCamp model? What did you learn in your session? What session will you propose for future EdCamps?